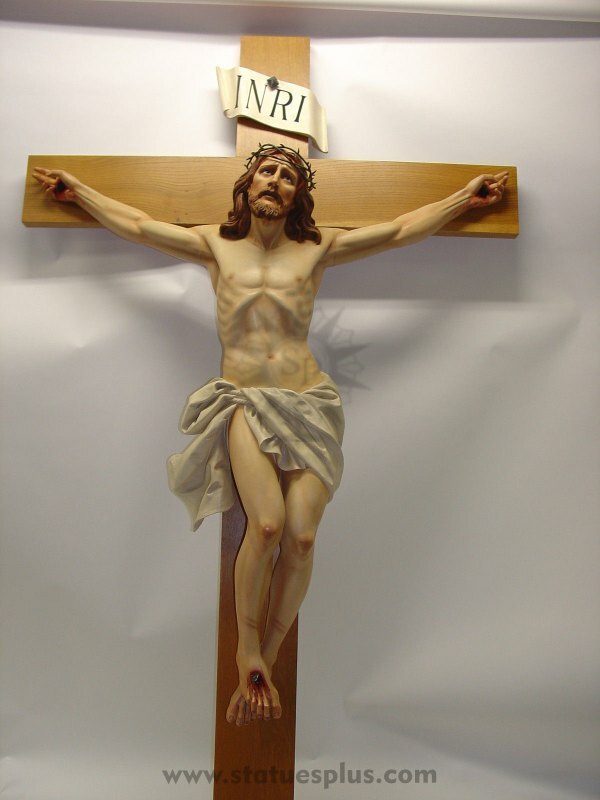 This is one of the most beautiful crucifixes you will see. This crucifix has Jesus's eyes looking to the heavens Jesus's eyes are made of glass and his crown of thorns is made out of metal. This would be a nice addition to your church or Chapel.